I know this is going to sound kind of odd... But hey that's me. I've noticed that celebrities tend to die in sets of three. I know it's wonky, but it's true! Sadly Dennis Hopper passed away today. Most people more than likely know him from Easy Rider as Billy. I'm more inclined to say he was in True Grit as Moon. I've never seen the first movie, but I love the second. I know you're saying well that's only two silly. Hopefully you noticed yesterday's blog? 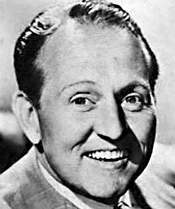 Well Art Linkletter also passed away this week. So as you can see my theory holds a bit of water. Sad but true.